The new year is upon us and with it excitement for the future. Some people set resolutions while others may not but there is a common feeling of wanting something fresh and new. While I’m not prone to resolutions myself, I have always been open to trying new things, especially once the new year arrives. It began last week when I shared a new painting technique and I’m continuing the ‘try new things’ theme by giving a bullet journal a try. 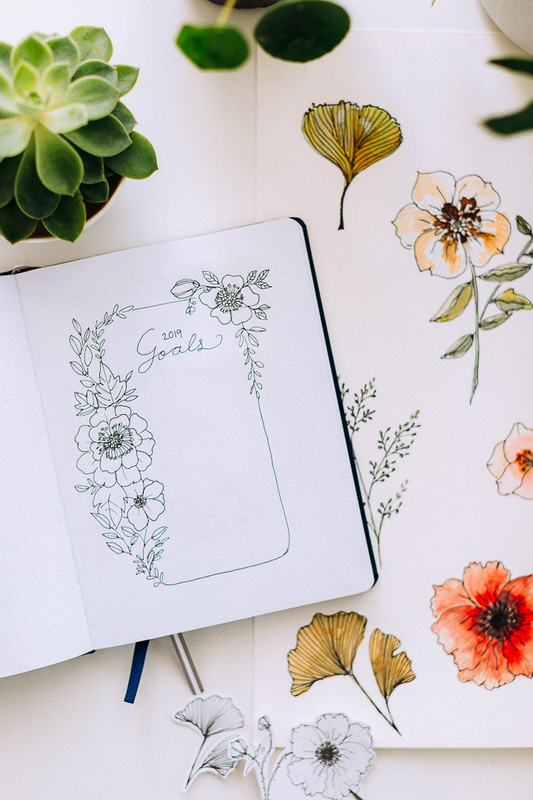 What is a bullet journal you may ask? 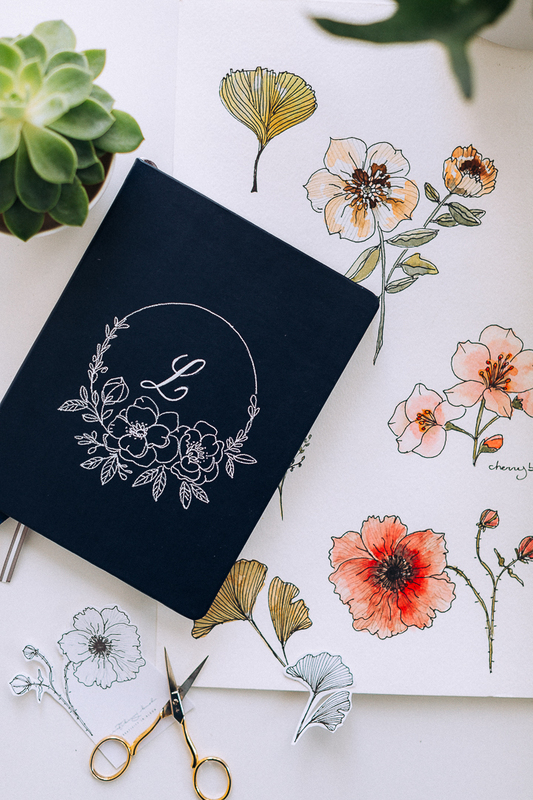 Well, it’s a notebook that can be customized to your liking and then used to plan, organize, and generally track things in your life that are important to you. 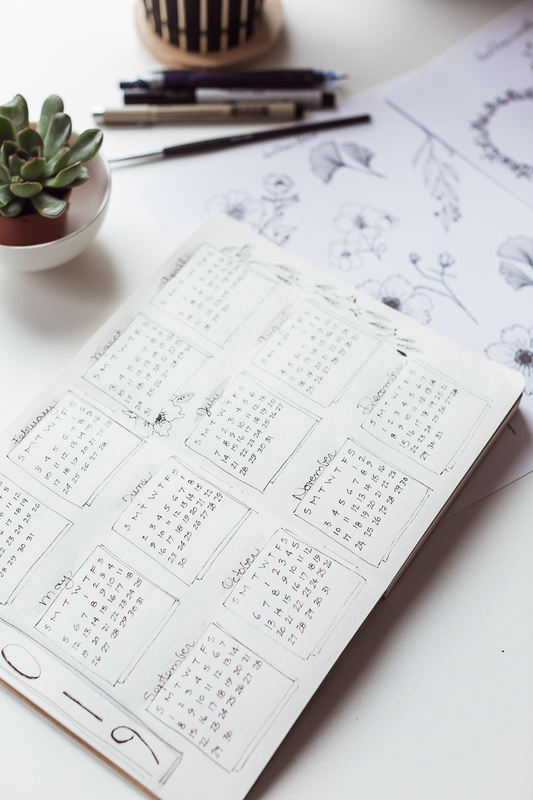 It’s different than a pre-made planner as you get to decide the content that best suit you. As this is my very first bullet journal, I turned to Skillshare for some tips and tricks. If you haven’t heard of Skillshare, it’s a learning community for people who want to learn new skills through videos taught by skilled teachers. 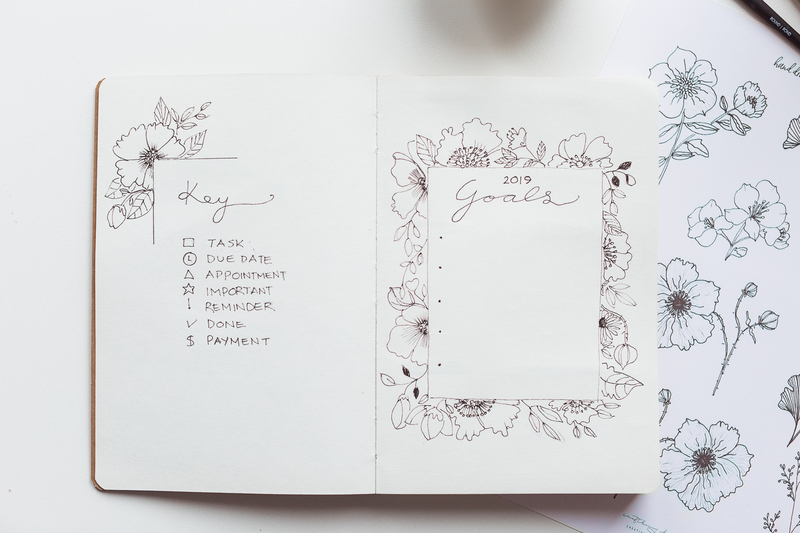 I have used it once before to enhance the skill of lettering and pattern and this time, I watched the lovely Jessica Owinyo and her Bullet Journaling Your Way class. It was so helpful to have everything broken down step-by-step, from materials required to tips and tricks. I still have to watch her Learn to Hand Letter! | Brush, faux, embellish! | Hand Lettering for bujo, notes, life class which I know I will love and need. I want to share what I have so far which is a work in progress but I’ve enjoyed the process and am really looking forward to adding to it with each passing month. 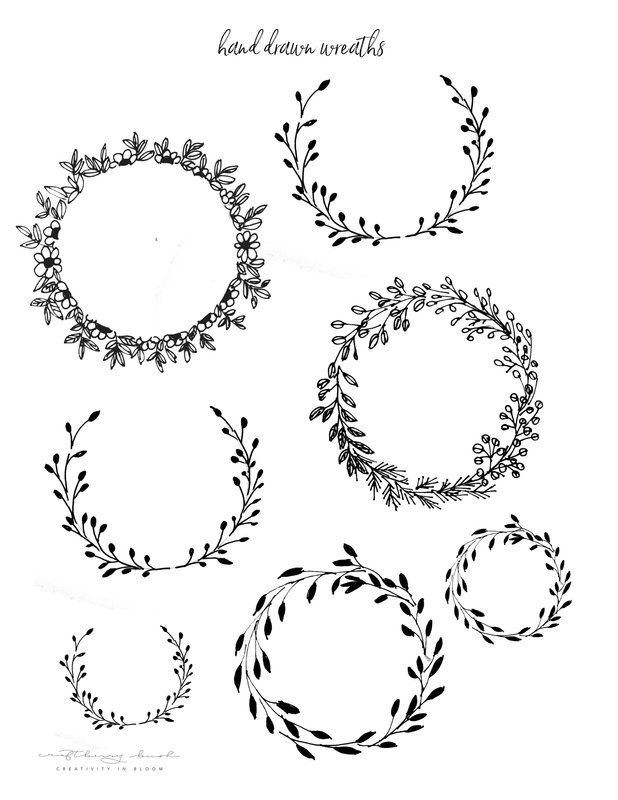 I’m kinda obsessed with drawing flowers and though not perfect, I love the way they look surrounding the circle. 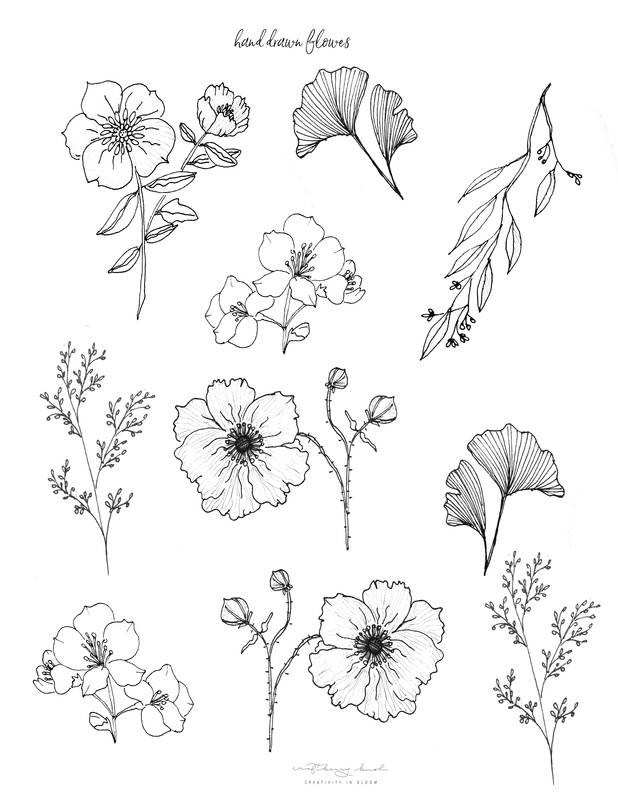 I practiced a little over the weekend and wanted to offer these available for you as well in case you were interested in your own bullet journal. 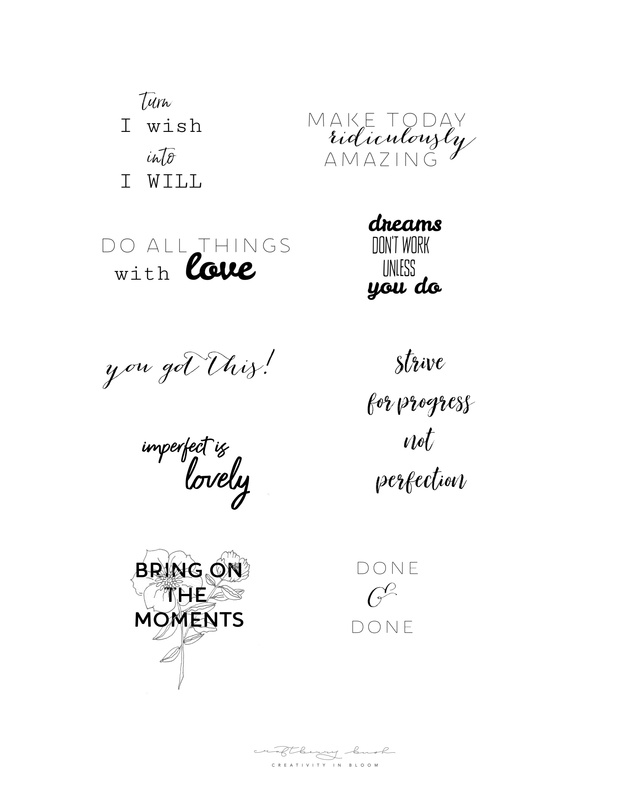 I hand drew and printed these on sticker paper which you can just cut out and place on your own journal OR use them as a printable behind a frame if you wish. GO HERE TO DOWNLOAD. Please remember these are for personal use only. Do not alter in any way. Should you wish to share, please share a link to this post. Thank you. 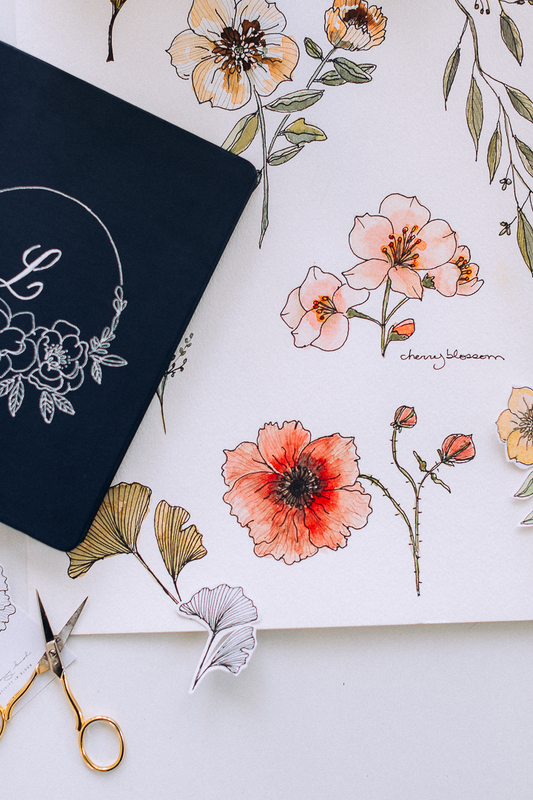 As you may already know, I love using watercolor and while browsing through Skillshare, I also found Ohn Mar Win’s Sketchbook Practice : Create Freely with Ink and Watercolor and I immediately knew I wanted to combine my love for watercolor and my bullet journaling so I watercolored some of the flowers on the sketchbook. 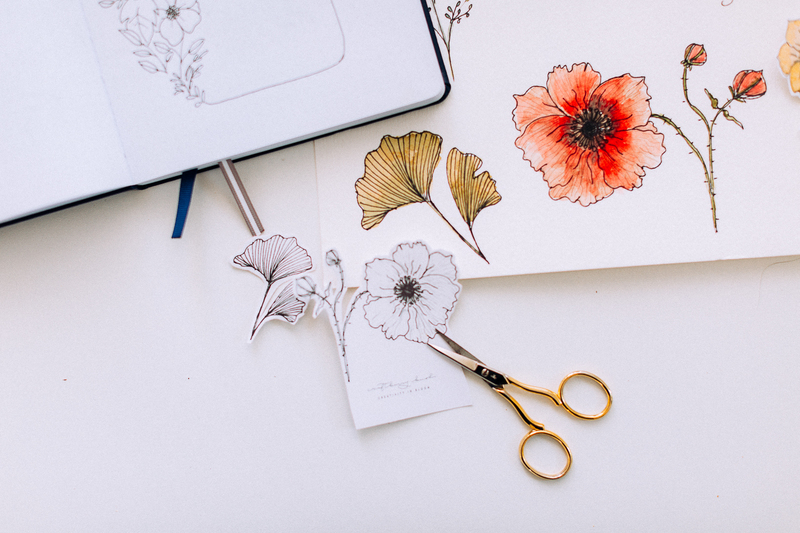 Next week I’ll share a video on how I used my watercolor to color in some of the flowers. 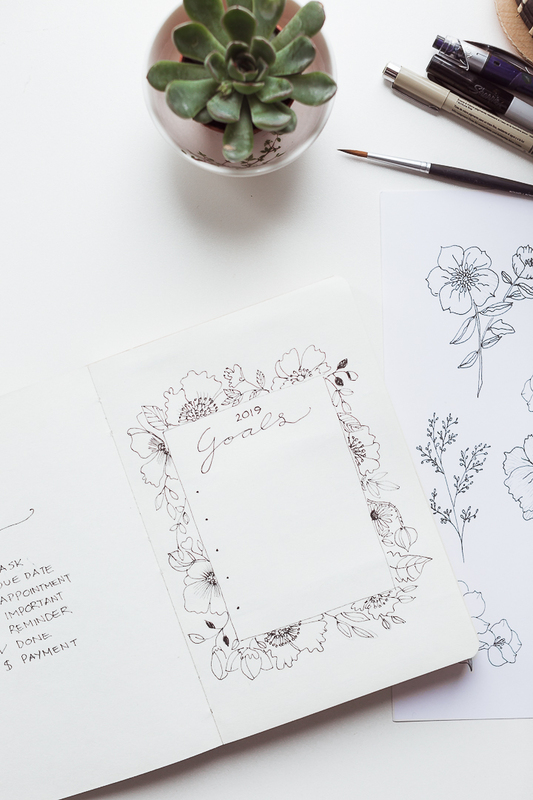 I think what I love about this type of journaling the most is that you can make it however you want to make it. Here is a closer look at one of the stickers which I use as a bookmark. 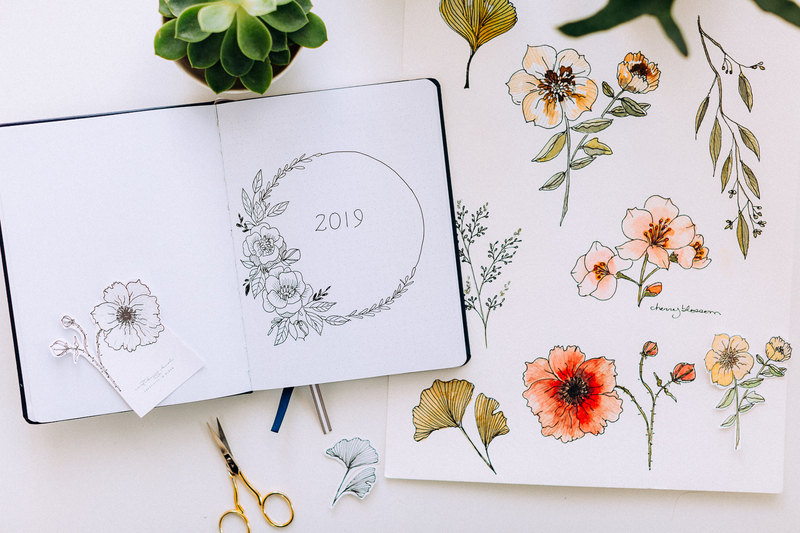 I must say, I’m enjoying this new found love of journaling which is why I’m so happy to share that my friends from Skillshare are offering all Craftberry Bush readers two months of PREMIUM classes at Skillshare. That’s full access to any class you want and as many as you want for 60 days. Do it for you. Do it for a little ‘me’ time and enjoy. 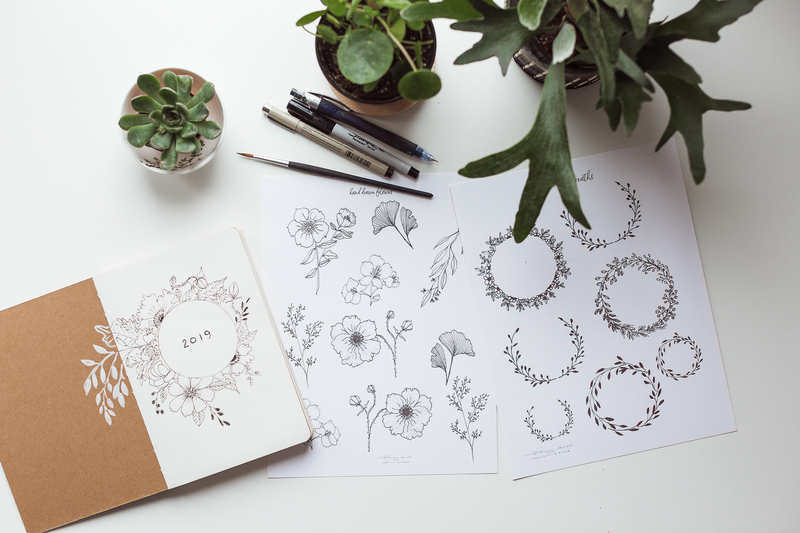 Thank you so much for stopping by today and don’t forget to GO HERE to print your own hand-drawn flowers, wreaths, and quotes. I hope you like them. 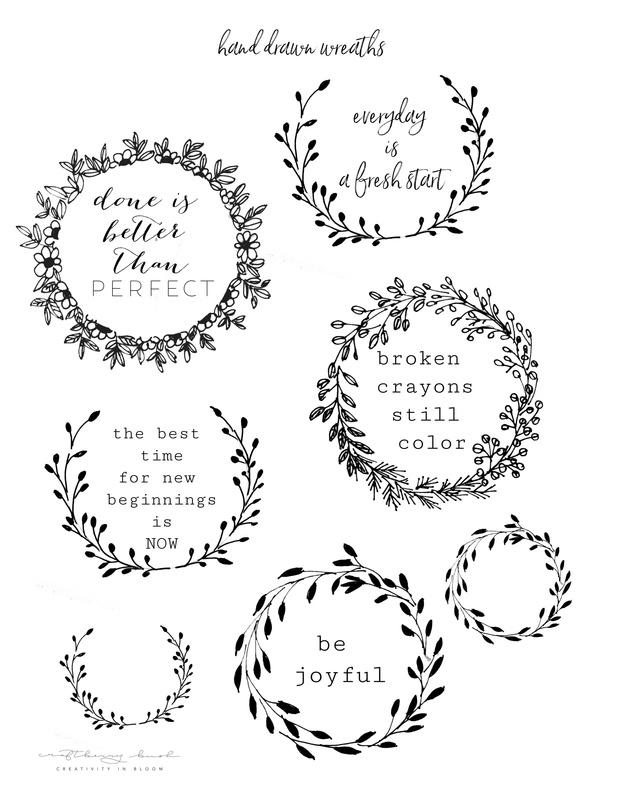 Here are more organization printables you might enjoy. 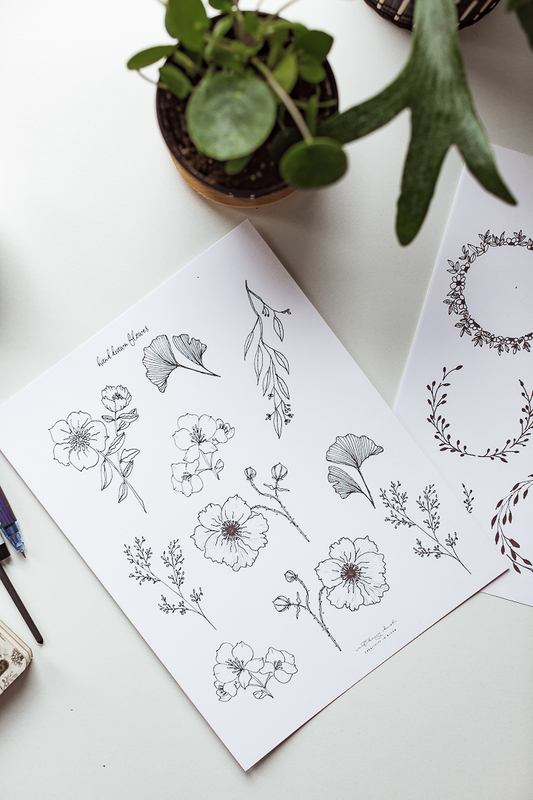 your hand drawn flowers are beautiful! Love these beautiful stickers! They could be used for anything!! Absolutely beautiful, as always! You’re just so talented. 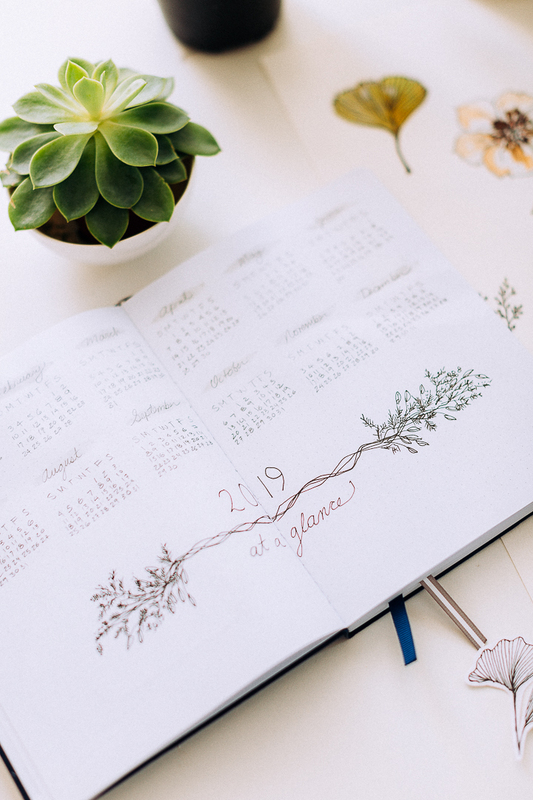 While I don’t do any bullet journaling, I can think of a million ways to use these gorgeous printables! Just found you and have been bullet journaling for several years. Keep me on track as I can forget half of what I need to remember. Thanks for the beautiful drawings. I can’t draw “a straight line” so I will enjoy these. I am so keen to follow your bullet journal adventures. 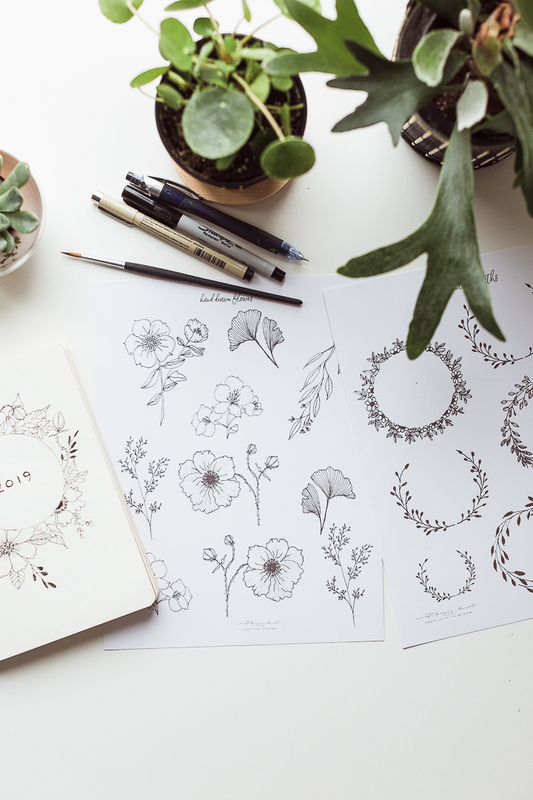 Those flower drawings are just gorgeous. The designs are very beautiful and attractive, the patterns are very sophisticated. I like so much. I hope that you will have more interesting and interesting articles.